Lincoln, N.K., Ragone, D., Zerega, N. Roberts-Nkrumah, L.B., Merlin, M., and Jones, A.M.P. 2018. Grow Us Our Daily Bread: A Review of Breadfruit Cultivation in Traditional and Contemporary Systems. Horticulture Reviews 46: 299-384. Fitzpatrick, S. and Merlin, M. 2018. Introduction: Drugs from a Deep Time Perspective. In: Fitzpatrick, S. (ed.). Ancient psychoactive substances. Gainesville: University Presses of Florida. Introduction, pp. 1-19. Merlin, M. and Clarke, R.C. 2018. Cannabis in ancient Central Asian burials. In: Fitzpatrick, S. (ed.). Ancient psychoactive substances. Gainesville: University Presses of Florida. Chapter 1, pp. 20-42. Merlin, M. 2018. Ancient use of Ephedra in Eurasia and the Western Hemisphere. In: Fitzpatrick, S. (ed.). Ancient psychoactive substances. Gainesville: University Presses of Florida. Chapter 3, pp. 71-111. Clarke, R.C. and M.D. Merlin. 2017. Cannabis Domestication, Breeding History, Present-day Genetic Diversity, and Future Prospects. Critical Reviews in Plant Science 35(5-6): 293-327. [Invited paper]. Published online: March 2, 2017. Zhang, G., Mai, H., Liu, B., Merlin, M.D., Wang, S. Li, Q., Wang, C. and H. Jiang. 2016, Wood analysis of an outer coffin unearthed from the Qian Zhang tomb (1553 A.D.) in Wuxi of east china Journal of Ethnobiology 36(4):930-952. Jiang, H., Wang, L., Merlin, M.D. Clarke, R.C., Pan, Y., Zhang, Y., Xiao, G., and X. Ding. 2016. Ancient Cannabis burial shroud in a Central Eurasian Cemetery. Economic Botany 70(3): 213–221 [Cover story]. Clarke, R.C. and M.D. Merlin. 2015. Letter to the Editor: Botanical Review 81:295–305. Regarding: Small, Ernest. 2015. Evolution and Classification of Cannabis sativa (Marijuana, Hemp) in Relation to Human Utilization. Botanical Review 81(3): 189-294. Merlin, M. and C. Fleetham. 2013. The sandalwood rush: Historical perspectives of commercial extraction in Remote Oceania. In: Nageswara-Rao, M., Soneji, J.R. and D. Harbaugh-Reynaud (Eds.). Proceeding of the International Sandalwood Symposium 2012. Lulu Press, Inc., Raleigh, N.C., pp. 21-71. Merlin, M. 2013. Some aspects of the traditional use of Ephedra species in eastern Eurasia. Ethnobotany. 25 (1&2):1-17. Invited article for Silver Jubilee Volume of Journal. Merlin, M. and R. Gonzalez. 2010. Environmental Impacts of Nuclear Testing in Remote Oceania: 1946 – 1996. In: McNeill, J and C. Unger (eds.). The Environmental Impact and the Cold War. Selected papers from those presented at the conference on the same subject at the German Historical Institute, Washington D.C., Cambridge, England: Cambridge University Press, pp. 167-202. Juvik, J., Delay, J., Merlin, M., Castillo, M., Lyman, P. and K. Kinney. 2008. 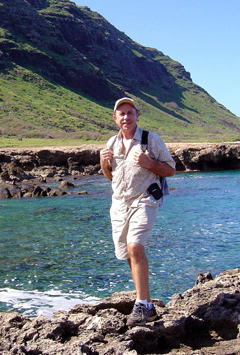 Endangered Plants and Threatened Ecosystems on the island of Hawai`i. Petroglyph Press, Hilo, Hawai`i. 64 pp. 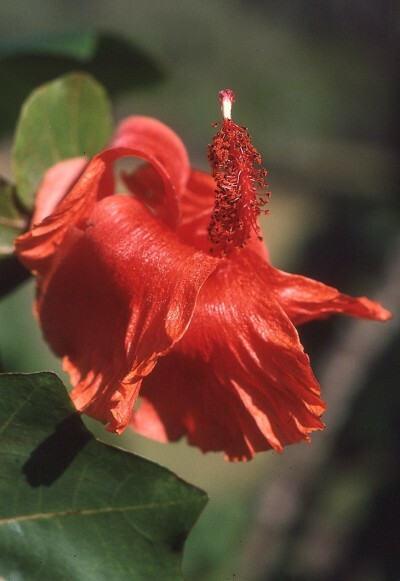 Federally funded resource book following field guide published in 2005: “Rare and Uncommon Plants on Hawai’i Island.” United States Fish and Wildlife Service, Department of Land and Natural Resources, and Lyon Arboretum, University of Hawai’i. Merlin, M, Thomson, L. and C. R. Elevitch. 2006. Santalum ellipticum, S. freycinetianum, S. haleakalae, and S. paniculatum (Hawaiian sandalwood). In Elevitch, C.R. (ed.). The Traditional Trees of Pacific Islands: Their Culture, Environment, and Use. Permanent Agriculture Resources, Holualoa, Hawai’i, pp. 695-715. Merlin, M. and W. Raynor. 2005. Kava Cultivation and Integrated Watershed Resource Management on Pohnpei Island. Pacific Science. 59 (2): 241-260. Merlin, M. and G. Kinsela. 2005. Traditional use of turmeric (Curcuma longa L.) for medicine in Southern Asia and the Tropical Pacific. Ethnobotany. Merlin, M. 2005. Hawaiian Forest Plants. Pacific Guide Books. Honolulu, Hawai`i, 6th edition. Merlin, M. 2005. Pacific Ocean Islands, Coastal Ecology. In Schwartz, M. (ed.). Encyclopedia of Coastal Science. Encyclopedia of the Earth Sciences Series. Springer, Dordrecht, The Netherlands, pp. 746-754. Delay, J., Merlin, M., Juvik, J., Castillo, M., Perry, L. 2005. Field Guide to Rare and Unusual Plants on the Island of Hawai`i. Lyon Arboretum Special Publication, In cooperation with the United States Fish & Wildlife and the Hawai`i Department of Land and Natural Resources. Hilo. Hawai`i. Merlin, M., Thomson, L. and C. R. Elevitch. 2005. Santalum ellipticum, S. freycinetianum, S. haleakalae, and S. paniculatum (Hawaiian sandalwood). In Elevitch, C. (ed.). Species Profiles for Pacific Island Agroforestry. Merlin, M. 2002. Traditional Uses of Plants for Fishing in Micronesia. Secratariat for Pacific Community: Women in Fisheries, Information Bulletin. Noumea, New Caledonia. Volume 11, November, pp. 27-31. Merlin, M. and W. Raynor. 2004. Modern Use and Environmental Impact of the Kava Plant in Remote Oceania. In: M, Steinberg, J.Hobbs and K. Mathewson (eds. ), Dangerous Harvest: Drug Plants and the Transformation of Indigenous Landscapes New York: Oxford University Press, Chapter 12, pages 274-293. Merlin, M. and J. Juvik. 1995. Montane Cloud Forest in the Tropical Pacific: Some Aspects of their Floristics, Biogeography, Ecology, and Conservation. In: Tropical Montane Cloud Forests. Hamilton, L., Juvik, J. and F. Scatena (eds). Springer-Verlag, New York, pp. 234-253. Merlin, M. 2000. A History of Ethnobotany in Remote Oceania. Pacific Science. 54 (3): 275-287. Gartz, J., Allen, J. and M. Merlin. 1994. Ethnomycology, Biochemistry, and Cultivation of Psilocybe samuiensis Guzman, Bandala and Allen, A New Psychoactive Fungi from Koh Samui, Thailand. Journal of Ethnopharmacology, 43:73-80. Merlin, M. and J. Allen. 1993. Species Identification and Chemical Analysis of Psychoactive Fungi in the Hawaiian Islands. Journal of Ethnopharmacology, 40:21-40. Merlin, M. 1999. Hawaiian Coastal Plants (4th edition). Pacific Guide Books, Honolulu, Hawaiʻi. 72 pp., 140 color photographs. Merlin, M. 1999. 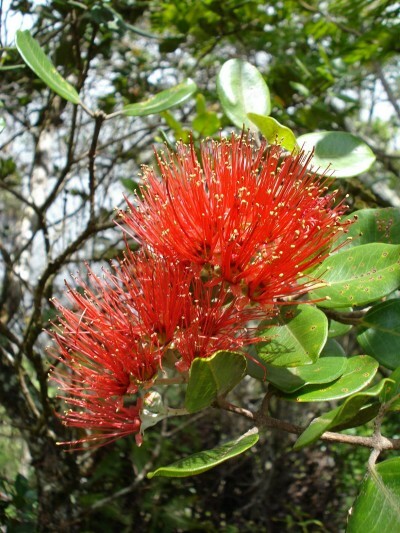 Hawaiian Forest Plants (5th edition). Pacific Guide Books, Honolulu, Hawai`i. 80 pp., 156 color photographs. Merlin, M., Capelle, A., Keene, T., Juvik, J., and J. Maragos. 1997 (2nd ed.) Keinikkan Im Melan Aelon Kein: Plants and Environments of The Marshall Islands. Program on Environment, East-West Center, Honolulu, Hawai`i, 110 pp. Merlin, M., Kugfas, A., Keene, T. and J. Juvik. 1996. Gidii nge Gakiiy nu Wa`ab: Plants, People and Ecology in Yap State. Program on Environment, East-West Center, Honolulu, Hawai`i, 121 pp. Merlin, M. and J. Juvik. 1996. Ira me Neeniier non Chuuk: Plants and their Environments in Chuuk. Program on Environment, East-West Center, Honolulu, Hawai`i, 121 pp. Merlin, M., Taulung, R. and J. Juvik. 1993. Sahk Kap Ac Kain In Acn Kosrae: Plants and Environments of Kosrae. Program on Environment, East-West Center, Hono., Hawai`i, 113 pp. Merlin, M., Jano, D., Raynor, W., Keene, T., Juvik, J. and B. Sebastian. 1992. 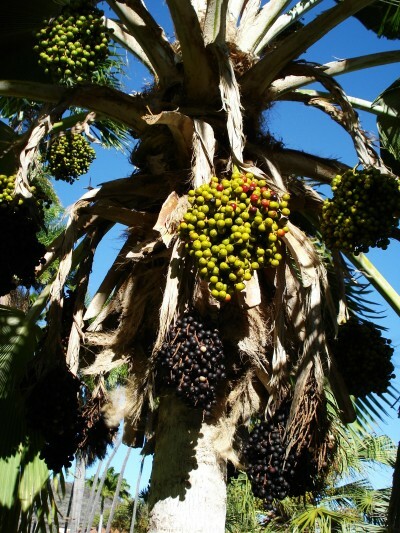 Tuhke en Pohnpei: Plants of Pohnpei. Environment and Policy Institute, East-West Center, Honolulu, Hawai`i, 94 pp. Merlin, M. and J. Juvik. 1992. Relationships between Native and Alien Plants on Pacific Islands with and without Significant Human Disturbance and Feral Ungulates. In Alien Plant Invasions in Native Ecosystems of Hawai’i: Management and Research, C.P. Stone, C.W. Smith, and J.T. Tunison eds. University of Hawai`i Cooperative National Park Resources Studies Unit Press. pp. 597-625. Merlin, M. 1991 Woody vegetation on the raised coral limestone of Mangaia, southern Cook Islands. Pacific Science. 45(2): 131-151. Merlin, M. 1985. Woody Vegetation in the Upland Region of Rarotonga, Cook Islands. Pacific Science, 39(1): 81‑99. Merlin, M. 1984. On the Trail of the Ancient Opium Poppy: Natural and Early Cultural History of Papaver somniferum. Associated University Presses, East Brunswick, New Jersey, 324 pp.